Arrive at Hat Point Marina at 8:10am for an 8:30 departure from Grand Portage. Reboard at 1:45pm for a 2:00 departure from Windigo. Return to mainland by 3:30pm. Arrive at Hat Point Marina at 7:40am for an 8:00 departure from Grand Portage. 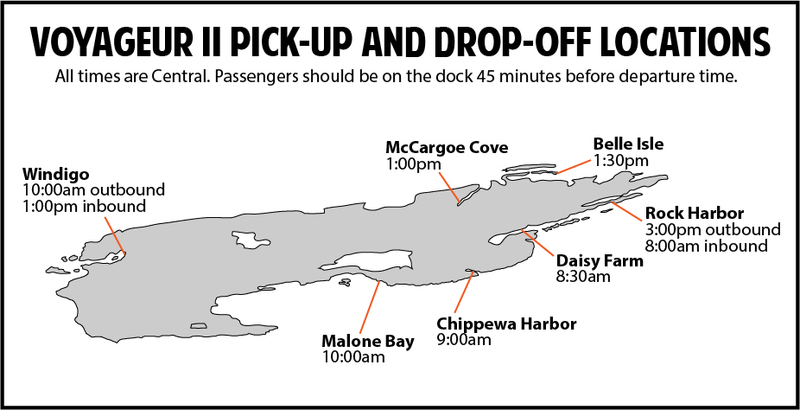 Reboard at 12:45pm for a 1:00 departure from Windigo. Return to mainland by 3:00pm.